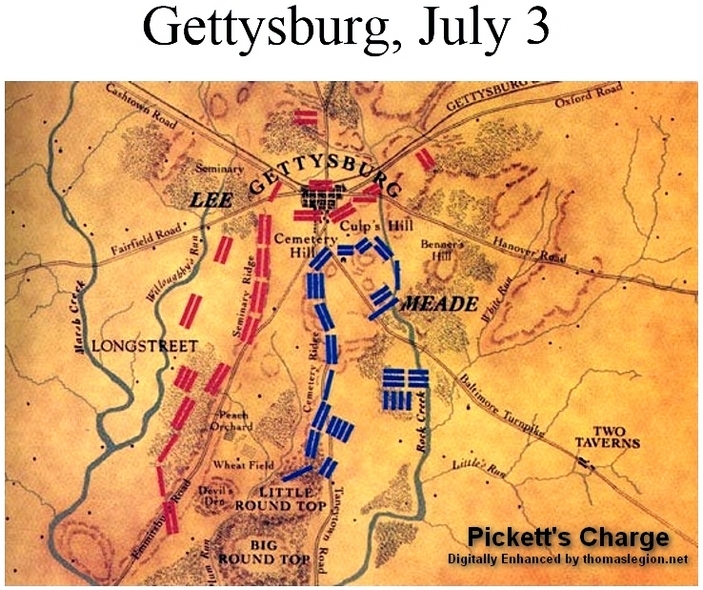 General Longstreet, Battle of Gettysburg, and Pickett's Charge! Brig. General James Kemper (W/C); Col. Joseph Mayo, Jr. Recommended Reading: Brigades of Gettysburg: The Union and Confederate Brigades at the Battle of Gettysburg (Hardcover) (704 Pages). Description: While the battle of Gettysburg is certainly the most-studied battle in American history, a comprehensive treatment of the part played by each unit has been ignored. Brigades of Gettysburg fills this void by presenting a complete account of every brigade unit at Gettysburg and providing a fresh perspective of the battle. Using the words of enlisted men and officers, the author and renowned Civil War historian, Bradley Gottfried, weaves a fascinating narrative of the role played by every brigade at the famous three-day battle, as well as a detailed description of each brigade unit. Continued below. Lee's army included the rich, poor and middle-class, according to the author, who contends that there was broad support for the war in all economic strata of Confederate society. He also challenges the myth that because Union forces outnumbered and materially outmatched the Confederates, the rebel cause was lost, and articulates Lee and his army's acumen and achievements in the face of this overwhelming opposition. This well-written work provides much food for thought for all Civil War buffs. Recommended Reading: Lee's Lieutenants: A Study in Command (912 pages). Description: Hailed as one of the greatest Civil War books, this exhaustive study is an abridgement of the original three-volume version. It is a history of the Army of Northern Virginia from the first shot fired to the surrender at Appomattox - but what makes this book unique is that it incorporates a series of biographies of more than 150 Confederate officers. The book discusses in depth all the tradeoffs that were being made politically and militarily by the South.